Thandukhukhanya Junior League. According to Mr Ntokozo Simelane, Chairperson for the Mkhondo LFA (Local Football Association), Citizen FC and Flymingo United FC did exceptionally well ahead of their title decider match. 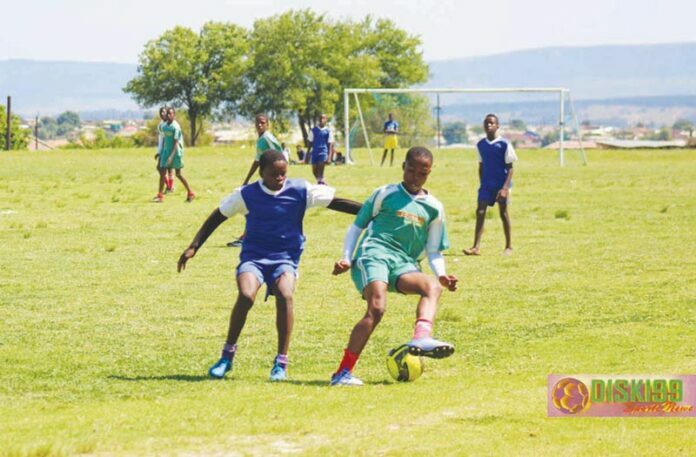 These top two teams in the U/15 division of Thandukhukhanya Junior League both won their matches played on Saturday, 10 November. Flymingo United FC demolished Silver Stars FC with 12 goals to nil, leaving them in second place behind the leaders of the log, Citizen FC, who in turn beat Mara Mara FC with a final score of 7-1. These two clubs have been at loggerheads for the top position of the league since February 2018. They are now left with only one game and both clubs have 70 points and the same number of winnings (23). They both lost against PR Barcelona FC. Citizen FC lost 2-1 in the first round and Flymingo United FC lost 1-0 during the second round. PR Barcelona FC is currently positioned in third place with 52 points, followed by PR Wanderers FC with 50 points. The U/15 champions will be decided in the final fixture of the league, set to take place on Saturday, 24 November, at the Mandla Magudulela Stadium, eThandukhukhanya. Both clubs have dedicated coaches. The quiet Sandile “Msandie” Kunene for Citizen FC and the temperamental Tkokozani “TeeKay” Hlatshwayo of Flymingo United FC. Other games set to take place on the same day will be those of the U/13 division. The U/17 division will also be wrapping up their league where Comet Riders FC are the favourites to win the league for the first time when they take on Hintalo FC. What’s Happening at the Licensing Office?